A Squared: Introducing New BUFF Bowls at Noodles & Company + A Giveaway! 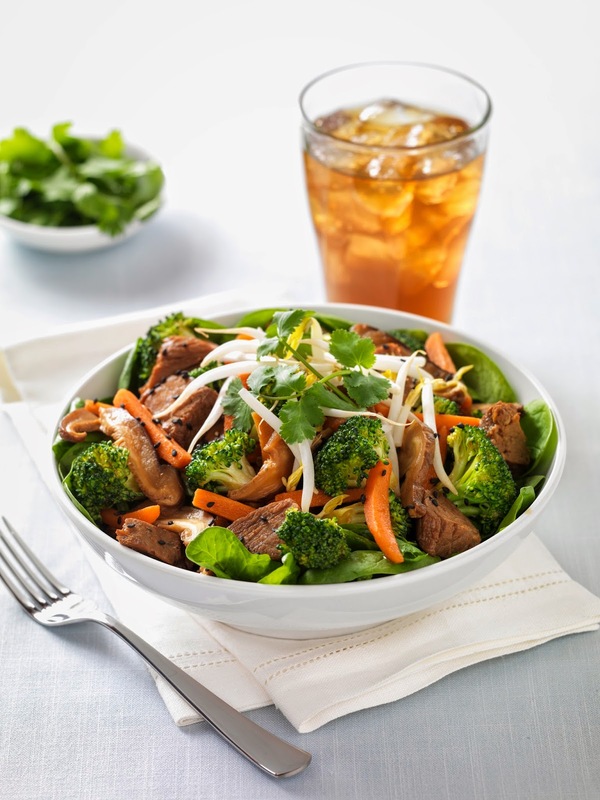 Introducing New BUFF Bowls at Noodles & Company + A Giveaway! You likely recognize Noodles & Company as the fast casual solution to your pasta cravings. I, for one, am partial to their Pesto Cavatappi or their Wisconsin Mac & Cheese-- they're the perfect pastas to grab for a satisfying lunch or dinner when I don't feel like cooking or like spending tons of money on dining out. Let's be honest for a minute though: Mac & Cheese is not always the most figure friendly option if you're dining out frequently. 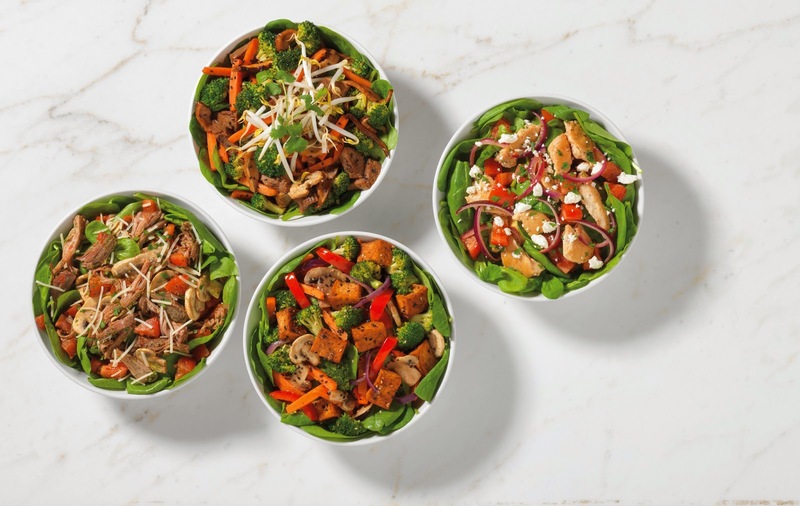 Lucky for us, Noodles & Company has introduced a new line of BUFF Bowls: vegetable and protein packed bowls available in 4 different varieties. BUFF Bowls are full of flavor and will fill you up with 17g-31g of protein, only 14g-39g of carbohydrates, and all four of them are under 400 calories! So, the next time Alex has a craving for spaghetti and meatballs at Noodles & Company, I can feel good about going along with him and ordering a BUFF Japanese Pan Bowl with Marinated Steak, BUFF Pesto with Naturally Raised Pork, BUFF Bangkok Curry with Organic Tofu, or my choice: the BUFF Fresca with Grilled Chicken Breast. The BUFF Fresca is filled with grilled chicken breast, tons of delicious veggies like tomato, roasted garlic, and red onion, all tossed with olive oil, served on a bed of spinach and topped with some yummy feta cheese. Ready to give BUFF Bowls a try for yourself? I've got two great options for you: First, make your own at home! Scroll down below for a recipe straight from the kitchens at Noodles & Company for their BUFF Tuscan Fresca Chicken Bowl-- this would make a great summer dinner or would be perfect for making a big batch to pack for a healthy lunch at work. Second, a giveaway! Use the Rafflecopter below and enter to win a $25 gift card to Noodles & Company good for BUFF Bowls, noodles, and any of their other delicious menu items.You have multiple chances to enter... good luck! Blend all ingredients for the sauce together and put aside. In a sauté pan heat tomatoes and mushroom in olive oil for about 2 minutes or until softened. Add white wine to the pan and reduce until only ¼ the liquid is remaining. Add ½ cup of sauce into pan and bring to a low simmer. Toss in cooked chicken to coast with sauce or simply leave vegetarian. Place sautéed ingredients over a bed of spinach, garnish with feta cheese. Editor's Note: A complimentary meal was provided to me by Noodles & Company in order to facilitate this post. The opinions expressed herein are my own. Pad Thai is my favorite. These new bowls sound delish! 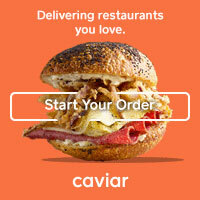 I love their mac and cheese, pesto cavatappi, and whole grain tuscan linguine! Those are all my favorites too! I absolutely love their steak stroganoff! It's so amazing! Have never tried it, but sounds so good! The pad thai is amazing! the bleu cheese macaroni is my favorite! WHY have I never had that? That sounds so delicious! Their dishes are so amazing! I really love the pesto cavatappi!